The world’s biggest polluter is now the global renewables leader, and these women are helping to lead the charge. Anna McGurk of Greenpeace introduces two women leading China’s transition. 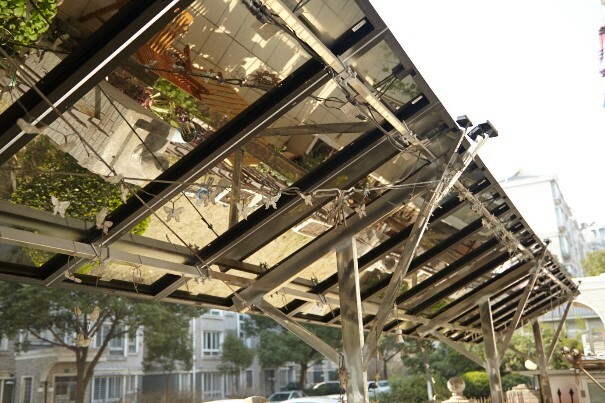 China’s solar industry has been on an incredible journey in the past half decade. Solar capacity doubled in 2016 alone; the world’s largest solar farm, comprising a staggering four million solar panels now rests on the Tibetan Plateau; and last year, China added enough solar panels to cover one and a half football pictures every hour. Behind the impressive statistics, this transformation is powered by people: dedicated environmentalists and entrepreneurs who are propelling China’s transformation from fossil fuel-dependent climate villain, to forward-thinking, innovative global climate leader. From a backyard project that transformed a community, to a young entrepreneur who smashed expectations by singlehandedly developing a successful global solar business, these women are taking China’s green power transition into their own hands and powering one of the biggest energy revolutions the world has ever seen. 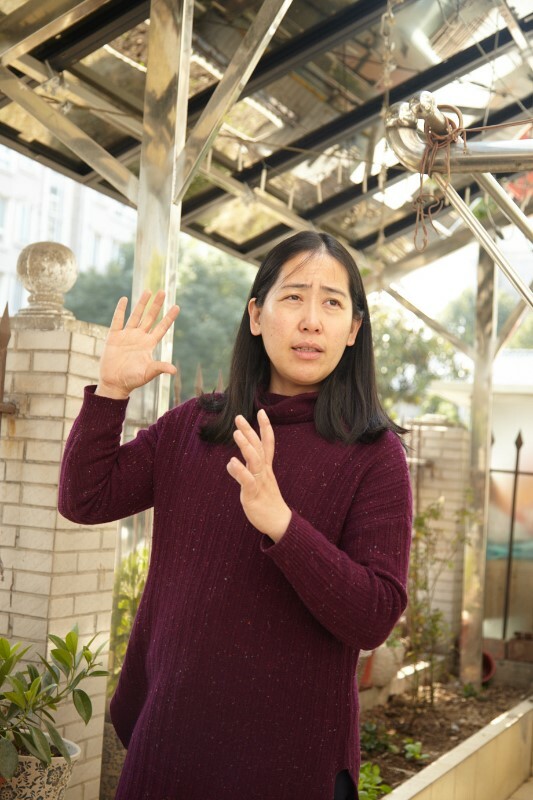 Ni Huan: the grassroots activist who started a movement in her own back yard. Ni Huan’s quiet patio on the ground floor of a Shanghai compound two hours from the city center seems like an unlikely place to start a trend. But it was here, that a simple quest for shade and relief from the scorching summer led to a movement that transformed her community. These days, the barely eight-square-metre courtyard draws crowds of up to 30 people at a time. School groups, university students and individuals interested in slashing their electricity bill- as well as their carbon footprint- regularly pack into the tiny garden to learn the ins and outs of at-home solar power generation. Demand became so great that she set up an organisation, Green-light Year, to expand her work and cope with the ever-increasing flow of visitors. Now, the organisation has partnered with several local schools and universities to install rooftop solar projects as well as assisting on the revival of Shanghai’s long-overdue Chongming Island eco-city project. 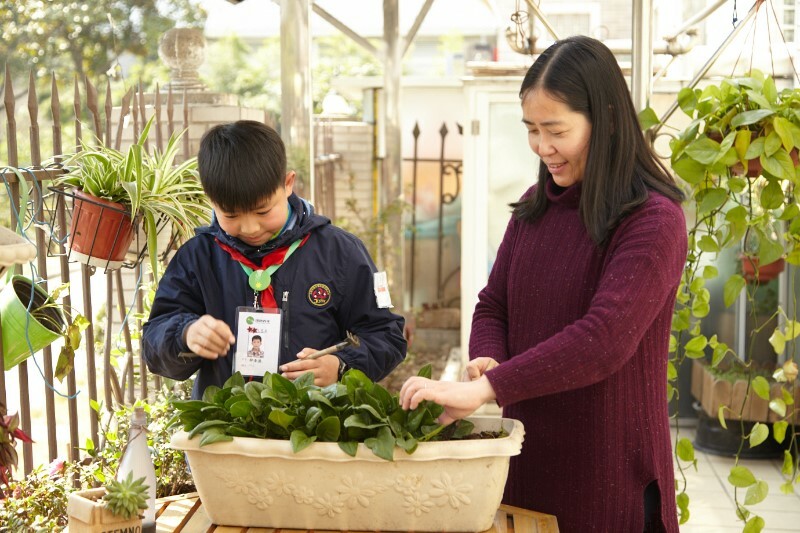 Since March 2015, over 1600 people have signed up for activities run by Green-light Year, including eco tours of Ni Huan’s courtyard and local solar projects, workshops on kitchen waste composting, building DIY air filters and how to upcycle old clothes. Most importantly, Ni Huan’s community has become a resource for local people to gather and gain practical information about starting up their own at-home solar projects. Ni Huan’s workshops and eco-tours are now so popular that local governments have begun to sit up and take notice. Government officials from neighbouring provinces have been making the trip to Shanghai with the hope of fostering similar community action in their own constituencies. 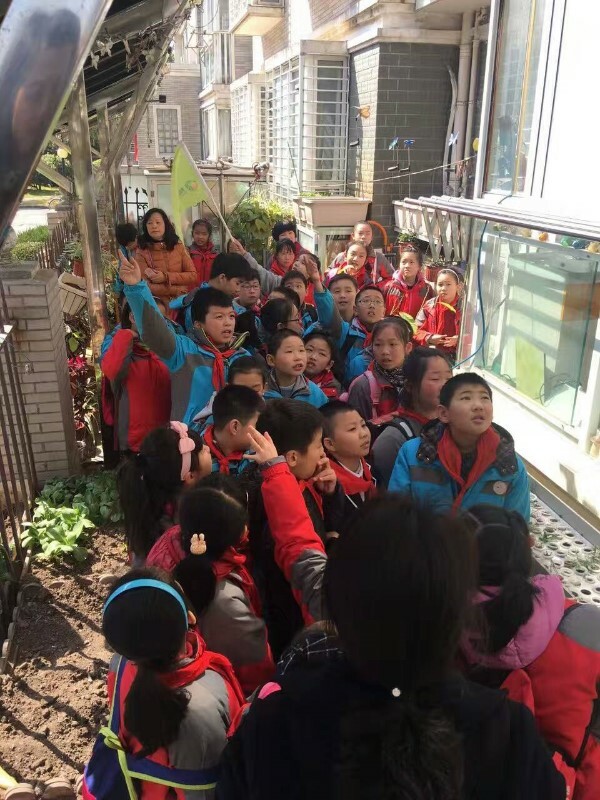 Her small but dedicated all-female team is staffed by local mothers from the community, who became involved with Ni Huan through their children’s school. Ni Huan believes that women are uniquely placed to advance community movements as they are more deeply embedded in communities. When He Yisha founded a company to manufacture and sell solar panels at the tender age of 25, she had no idea what the next six years would bring. 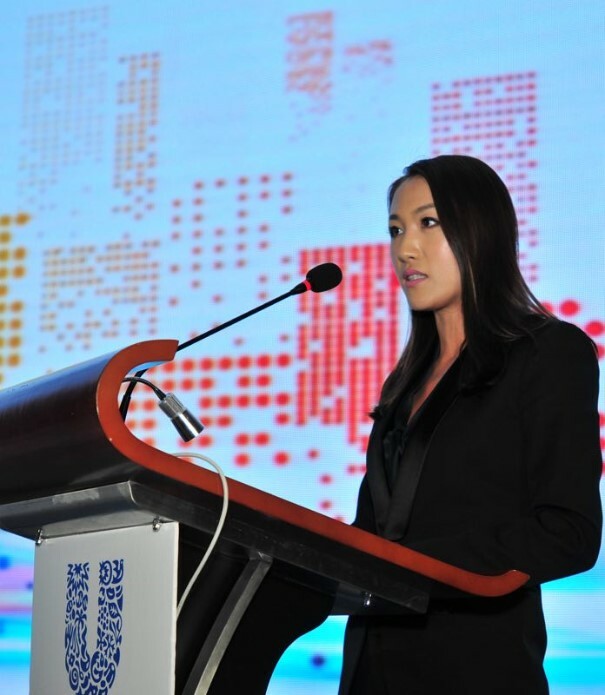 A committed environmentalist, she was inspired to start her own solar panel manufacturing company after a friend told her about the huge potential for growth in China’s solar industry. Six years later, He Yisha’s companies, Unisun and Uper, trade on a global scale and have branched into development and maintenance of distributed solar. They are now being courted by huge international brands seeking to reach 100% renewables in their production lines. Not surprisingly, she has attracted attention in Chinese media both for the astonishing growth of her company – from self-starter, to chairwoman overseeing 400 people in little over five years – but also simply for being a young woman at the top of her industry. As a 25-year-old CEO she rarely encountered many other women in her work and would steel herself with hours of preparations before meetings with clients, all of whom were older and the overwhelming majority was male. Now, she sees things changing. Anna McGurk is a content writer for Greenpeace East Asia. This piece originally appeared on Greenpeace East Asia. China is the most polluted country. However, they find a solution to minimize the pollution by using a renewable energy. Since China is a leading country for renewable energy, eventually they will become a most eco-friendly country. That’s why, they encourage to Chinese citizen that patronize the renewable energy to save their environment. Previous PostBlockchain for the energy revolution? Don’t believe the hype!